Miami’s skyline continues to increase in size, but none are able to claim the title of Miami’s tallest from the Four Seasons Tower at 789 feet. According to Miami’s Council of Tall Buildings, the city needs a very tall building, which they defined as over 984 feet. There are a few proposed buildings that will beat the Four Seasons and some that will reach 984, but none have been accepted yet. The Federal Aviation Administration has been shutting down proposals for safety concerns so this is a major obstacle for real estate developers. The Panorama Tower is currently under construction and is planned to reach 830 feet, while there are a couple of plans for buildings that will surpass 1,000 feet. Ugo Colombo is behind one of the proposals for a 70 story luxury condo tower on Brickell Avenue. 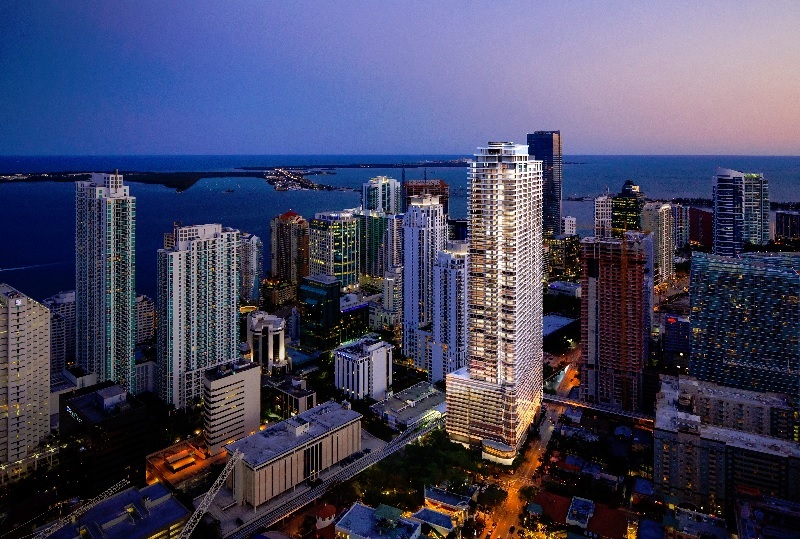 It will be the second Brickell Tower to complement the Brickell Flatiron tower (shown above among other buildings). It is possible that this tower will be taller than Mr. Colombo’s Brickell Flatiron tower, which will stand at 700 feet. Some of Ugo Colombo’s other projects are in the top 30 of Miami’s tallest buildings. This includes the EPIC tower completed in 2008, which stands at 500 feet. One of Ugo Colombo’s older buildings, the Santa Maria stands at 520 feet. It is likely that in the future, developers in Miami will attempt to make taller and taller skyscrapers, but locations are scare in the popular areas. This entry was posted in News and tagged brickell flatiron miami, CMC Group, EPIC miami, Miami beach real estate, santa maria, Ugo Colombo, ugo colombo brickell flatiron, ugo colombo cmc group, Ugo Colombo The Collection on August 15, 2014 by Ugo Colombo.